Modern and rustic usually fall into two different categories of design. Then one day the beautiful relationship between the two was formed. 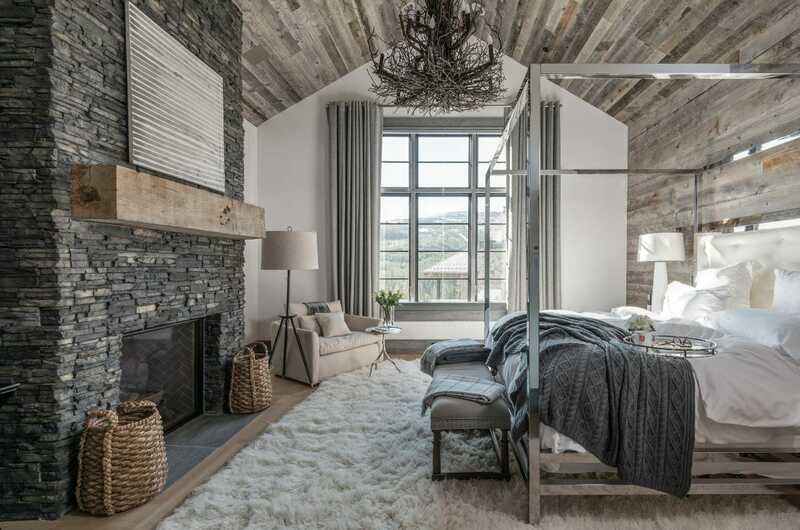 The natural and soothing characteristics of rustic design blended with the clean lines and luxurious finishes of modern design create one of the most intriguing (and popular!) design styles out there. 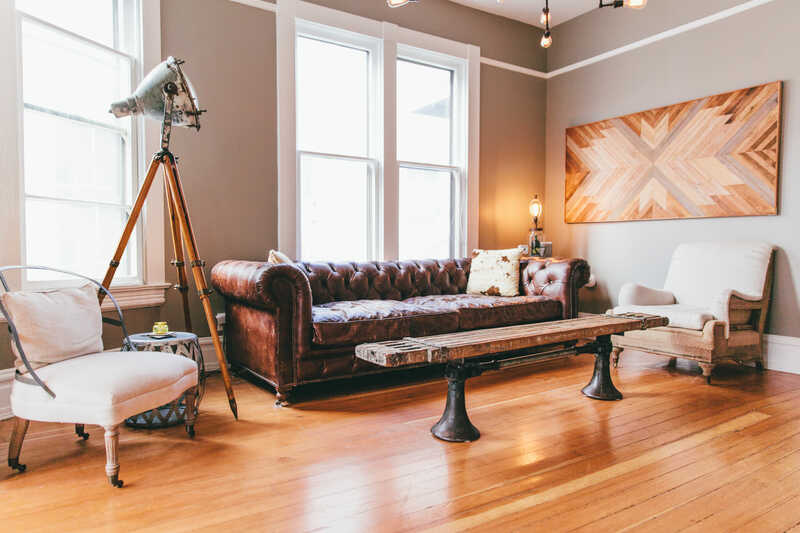 Keep reading for Decorilla designers 7 best tips for creating flawless modern rustic interior design in your own home! 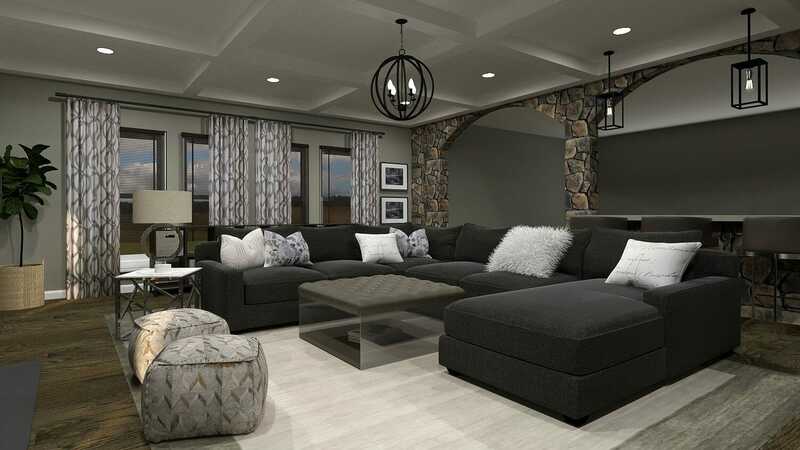 Design by Decorilla interior designer, Sara S.
When trying to achieve a modern rustic home design there are a few key elements to incorporate that give off that ideal modern rustic vibe. 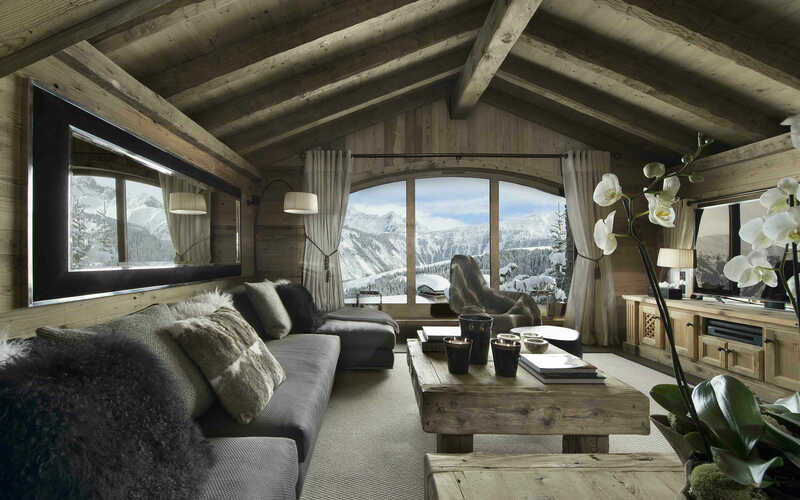 One important element in all modern rustic rooms is the use of wood accents. Weather that’s a wood art installment, unique coffee table, or accessories the warm tones of wood are always welcomed. A good rule of thumb to keep in mind is using the same tones of wood. If you like more of a warm feel to your space used richer colored accents. If you like more of a cool feeling dark woods and grey tones are the answer for you! Design by Decorilla online interior designer, Tamna E.
We’ve said it once, and we’ll say it again; neutral doesn’t mean boring! A great way to spice up a neutral color scheme is by adding subtle pops of color with throw pillows. When you get ready to try another color in the space they are easy to switch out and can totally change the look! By keeping the color scheme neutral it automatically becomes a more relaxing atmosphere. 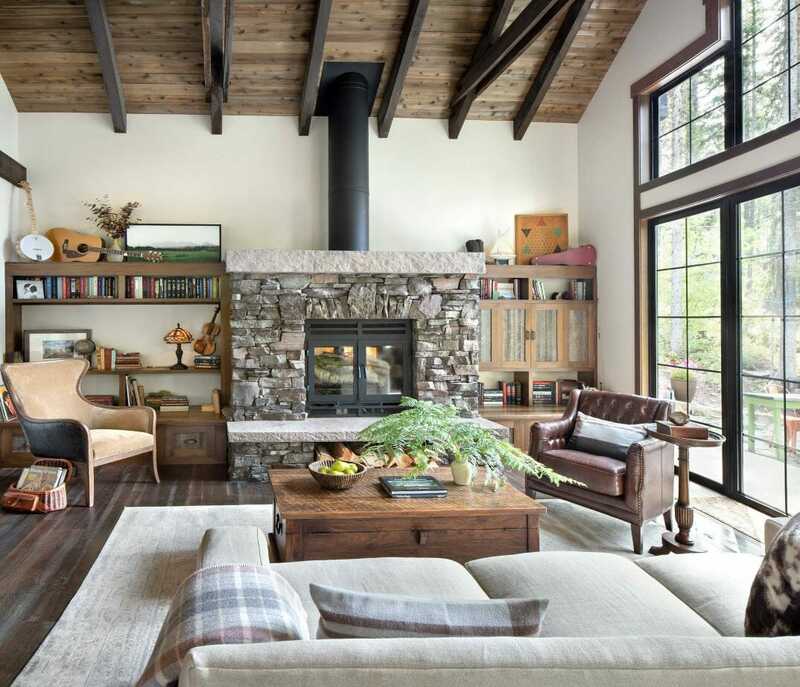 The ideal modern rustic living room feels comfortable, cozy, and welcoming. It’s a space that everyone can resonate with because of the marriage of the two styles together. 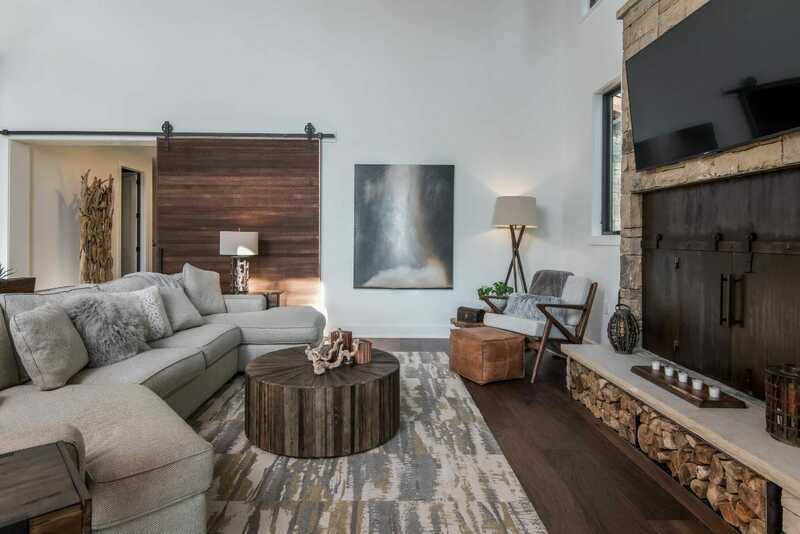 Design by Decorilla interior designer, Ilaria C.
The flawless modern rustic home isn’t complete without an ample amount of cozy textiles. Because the clean lines of modern design can sometimes seem harsh it’s important to balance out the space with the use of textiles. Integrating soft texture into the space is a big factor of what makes modern rustic interior design so welcoming and warm. Textiles don’t have to only be pillows and curtains, there are some stunning furniture options that incorporate dreamy textures as well. Incorporating a mix of upholstered and non-upholstered furniture is an easy way to keep the warm and cozy feeling effortlessly. 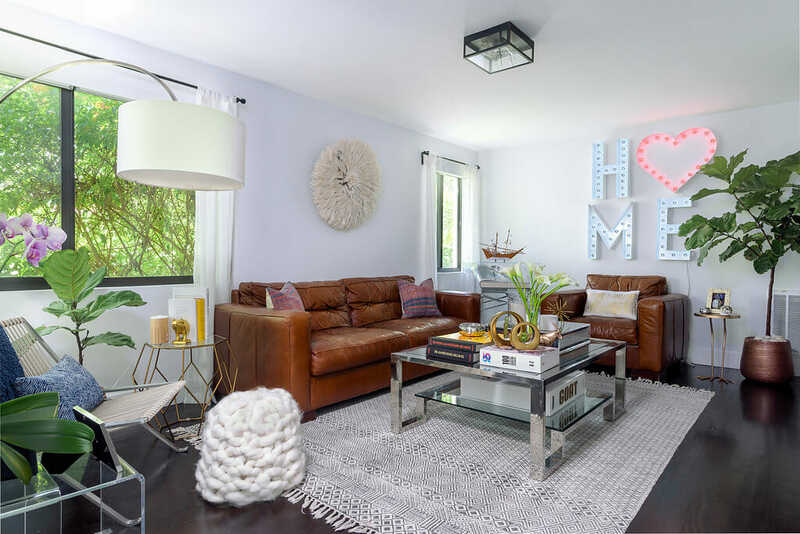 Design by Decorilla online interior designer, Peti L.
With a nod to the eclectic style, modern rustic living rooms are the picture-perfect place to incorporate antiques into the design. Adding personal mementos that have been passed down are not only great conversation starters but also bring a smile to your face when you see them. Isn’t that a goal we should all have for our homes? 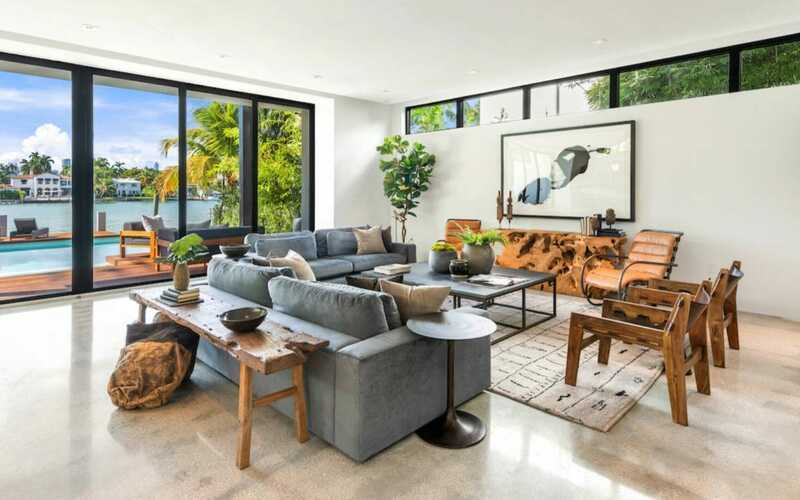 Weather this is a piece of furniture you can’t part with, or a collection you love to display, the contrast between modern touches and antique additions make the space feel more collected and lived in. Not only are the color schemes natural, so are the materials. In most modern rustic spaces you will find some sort of wood or stone. Basically all you need to do is ask yourself, does this look like it came from nature? If the answer is yes, it’s likely a good addition to the room. 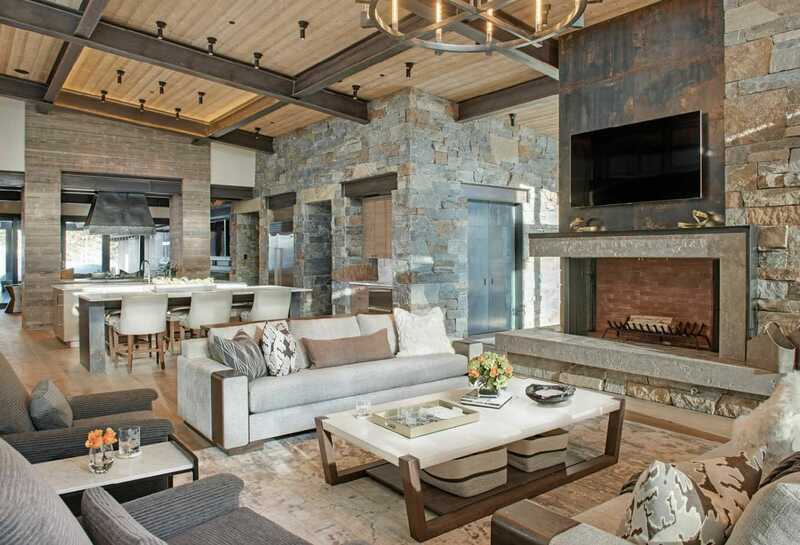 Using elements like a raw stacked stone fireplace, or a warm paneled wood ceiling imply the feeling of being cohesive with nature. These types of finishes also soothe the eye and don’t cause visual strain. In fact they radiate comfort. 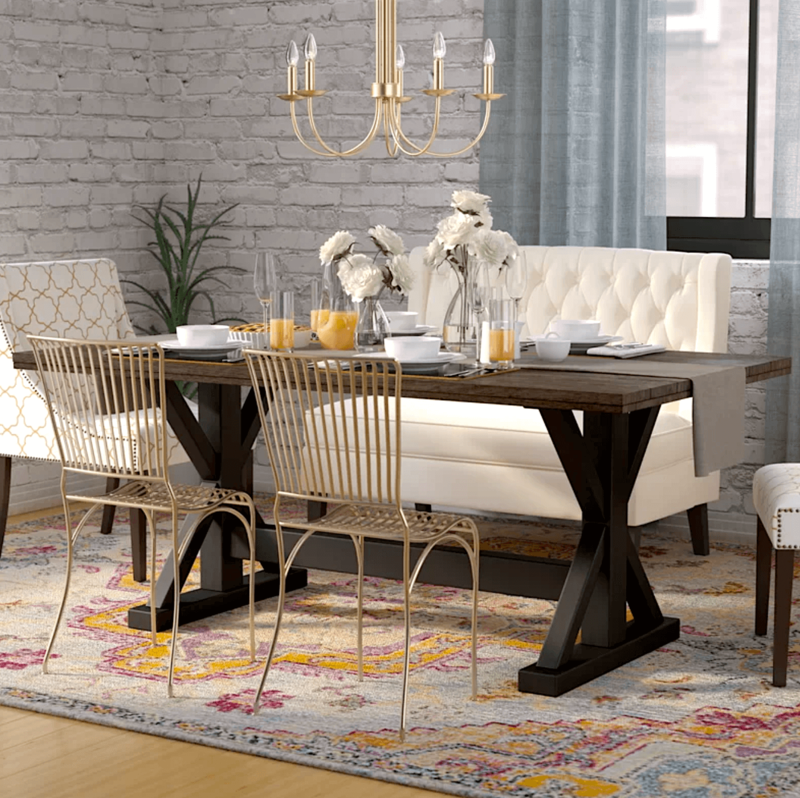 Design by Decorilla online interior designer, Ashley H.
The key to modern rustic interior design is modern furniture. 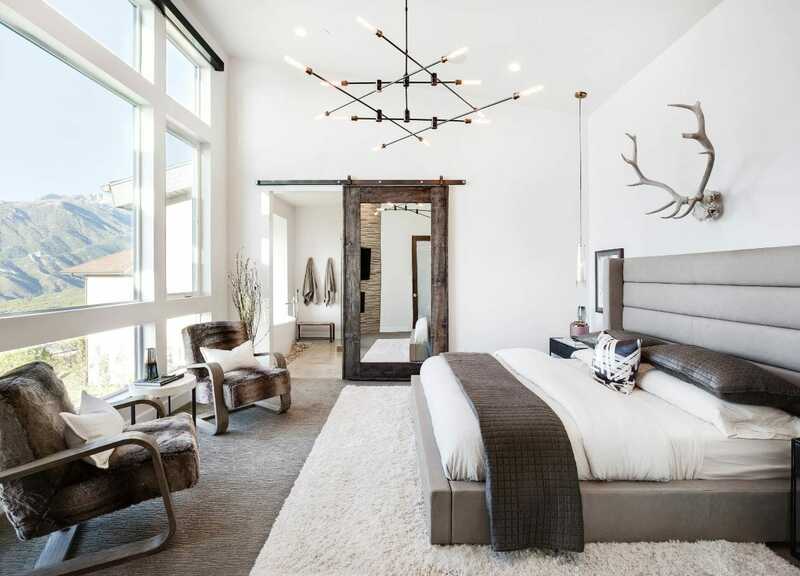 The addition of modern furniture mixed with natural materials is what makes the most stunning spaces. That doesn’t necessarily mean all the furniture needs to be modern. You can easily choose to have one or two statement pieces to get the point across. When it comes to modern furniture it’s important to think about if it will feel “harsh” to the eye. If the piece has bold lines and you’re worried it might feel like too much, think about ways you can add softness. Often times an accent pillow or throw blanket is a great solution. 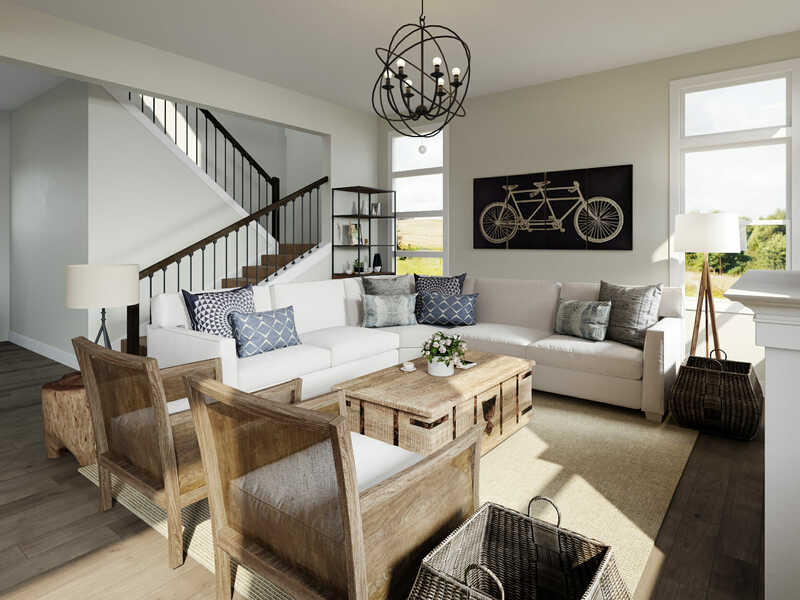 Design by Decorilla online interior designer, Marcy G.
The key to a modern rustic home is concentrating on merging the outdoors into the interior. The easiest way to do this without changing any interior finishes is by incorporating plants. Don’t fret if you don’t have a green thumb, faux greenery is just as beautiful. Adding greenery into a room is another great way to bring in the cozy softness that really makes your house feel like home. 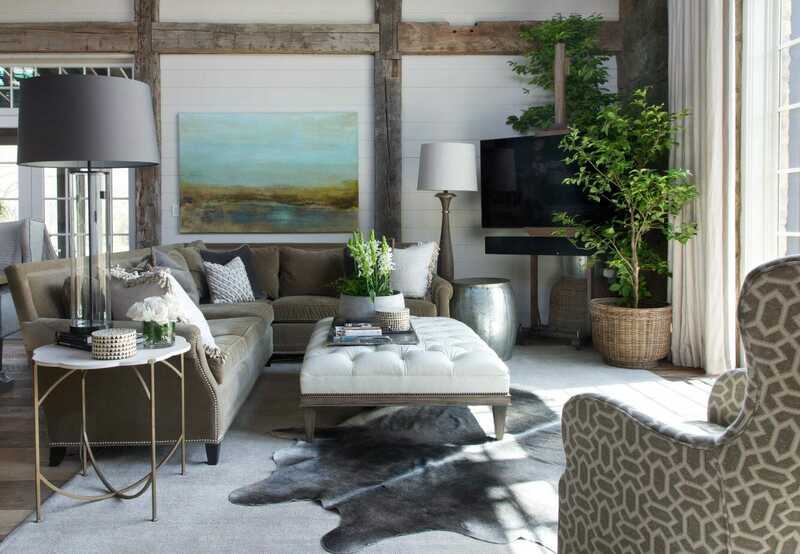 While both modern and rustic styles are beautiful on their own, I think we can agree that blending the two styles together creates a beautiful homey vibe we’re all striving for in our homes. If you need some help on how to get started Schedule a Free Consultation with a Decorilla interior designer today!